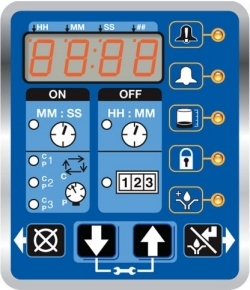 The Graco G3 Max Pump from MotionSource features three controllers to choose from with multiple zone and feedback options. Includes one adjustable pump element–standard, plus room for two more. Multiple reservoir choices and more! The Graco G3 Max pump is the ultimate in flexibility–for a high value, custom fit on your application. With the Graco G3 Max pump you can work faster and smarter with Graco’s exclusive Data Management System (DMS). Find out exactly how your lubrication system is performing and how well it’s lubricated. The DMS tracks history, provides data protection, upload or download data using a simple USB flash drive. Not sure of what you need? Give our experts a call at 888-963-6686. MotionSource is Graco trained and certified and recognized as the industry expert in Graco G3 Max pumps. Know what you need? Call, email at Sales@MotionSource1.com or complete the handy “Quick Quote” form to the right and we’ll get back to you immediately. 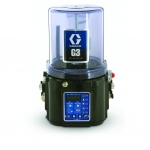 Need help with service or installation of your Graco G3 Max pump? MotionSource has a 24/7 full-service team ready to help with what you need, when you need it. Our service technicians are Graco trained and certified to help with your pump needs. If you just need technical help, give us a call 888-963-6686. All of our customer support team is Graco trained as well. MotionSource is your Source for Graco G3 Max pumps!